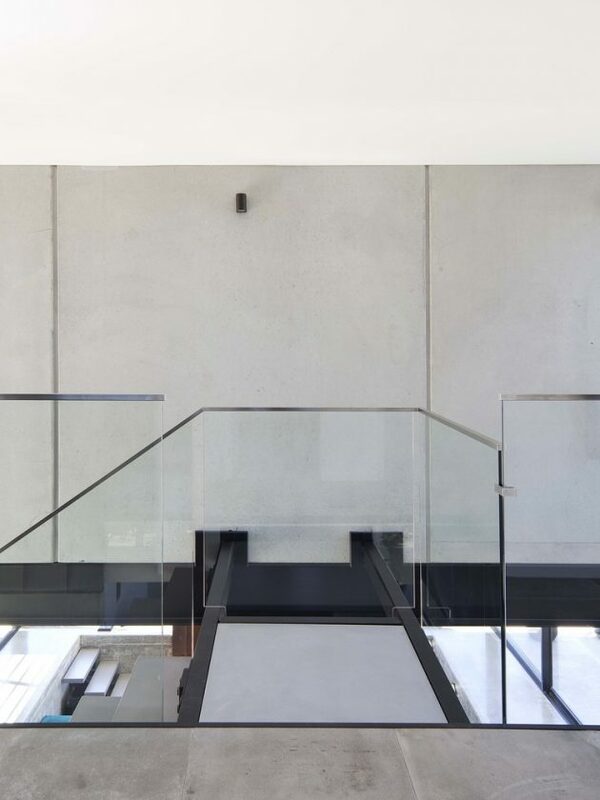 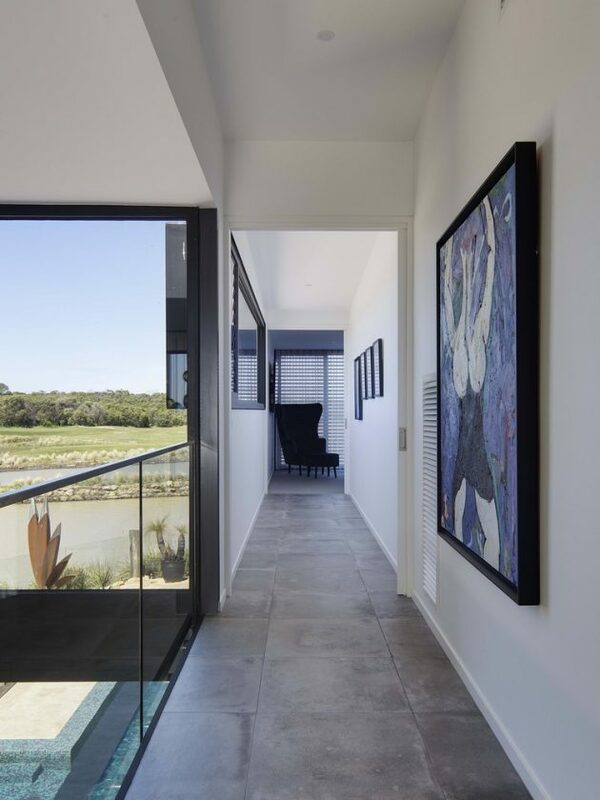 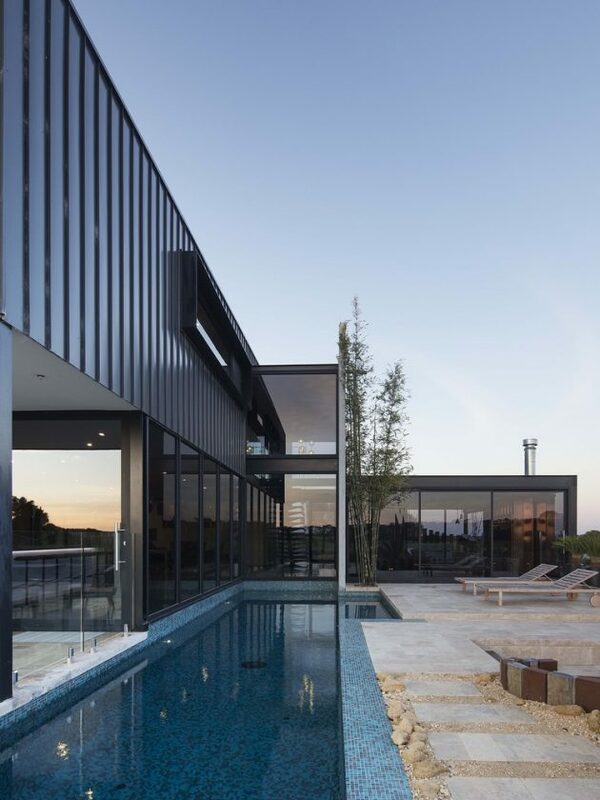 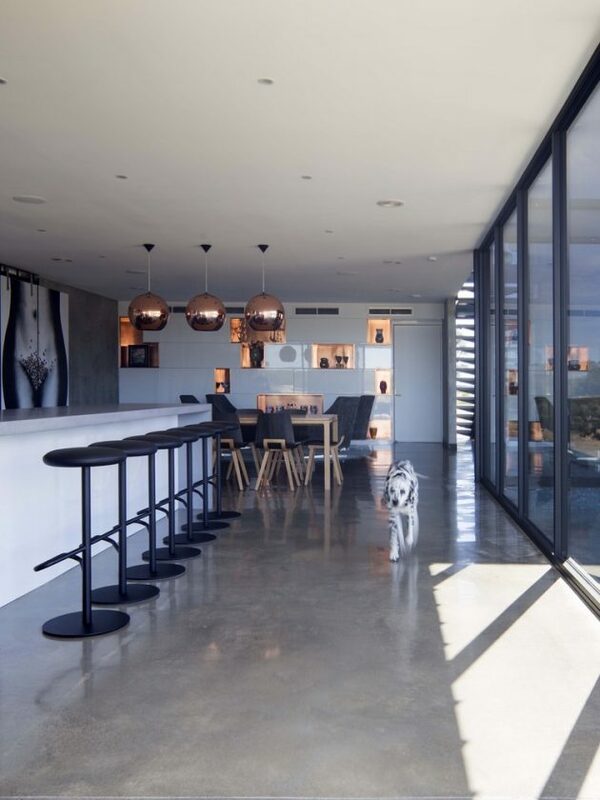 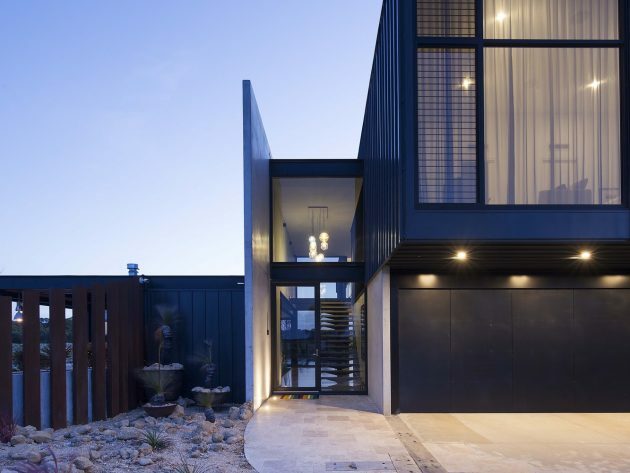 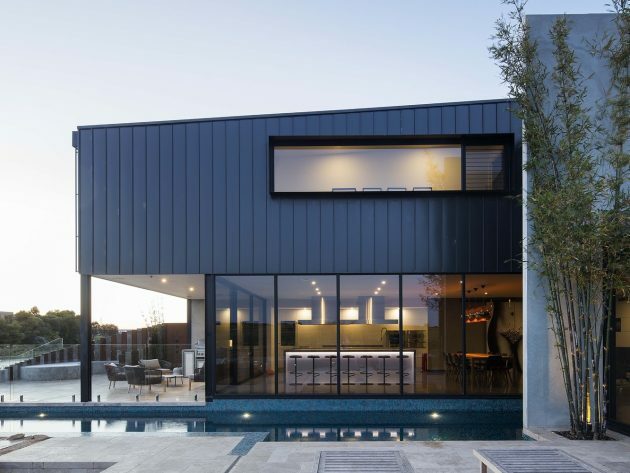 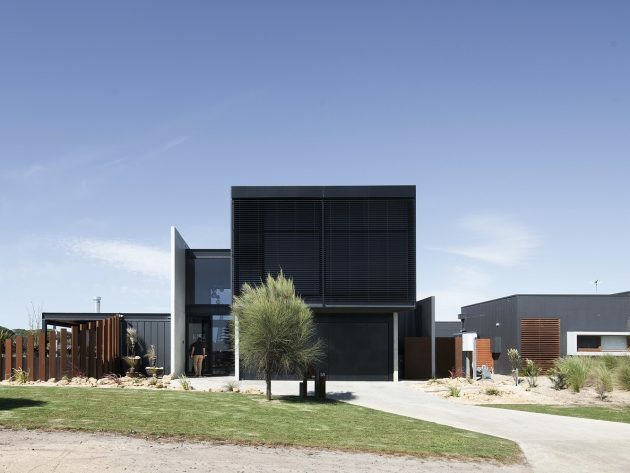 The Torquay-based architecture studio – Lachlan Shepherd Architects have designed a contemporary private residence called the Lahinch House. 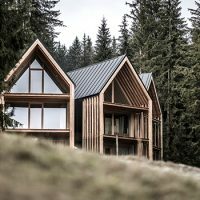 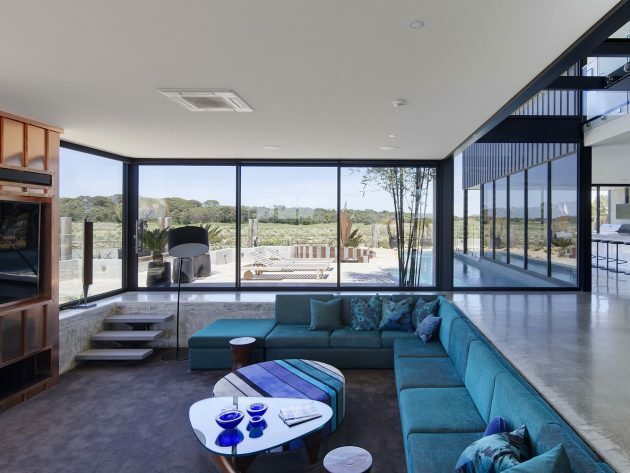 It was conceived as a place for entertaining after the clients requested for an impressive scheme where when guests stay over, it would function as a comfortable home with hotel-like elements. 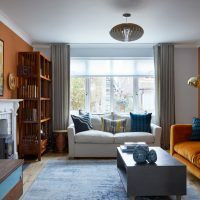 To satisfy the request, the house had to function firstly as a home to its two full-time occupants and their pet and secondly, each of the guest bedrooms is provided with its own en-suite and robe areas. 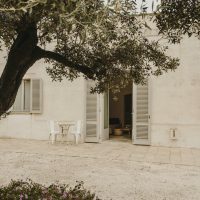 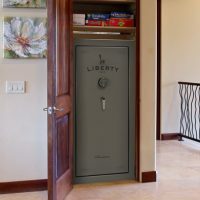 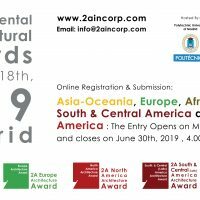 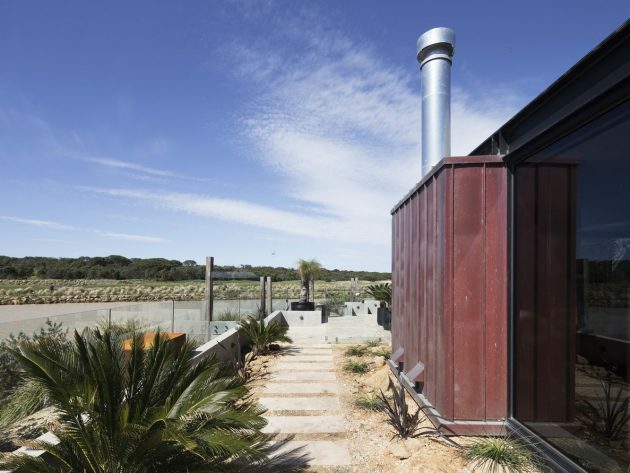 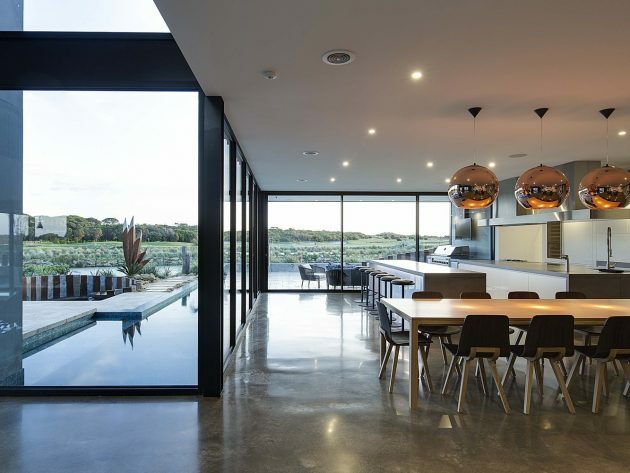 It was conceived as a place for entertaining, whereby the owners regularly have guests stay including family and friends from within Australia and abroad. 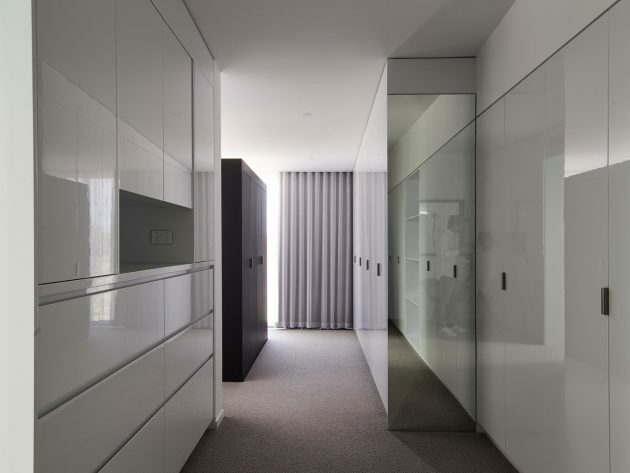 Thus, the house had to function firstly as a home to its two full-time occupants (and their Dalmatian) and secondly as a luxury hotel; each guest bedroom is provided with its own ensuite and robe areas, so essentially their guests can “check-in” to their own space before moving into the main living zones of the house. 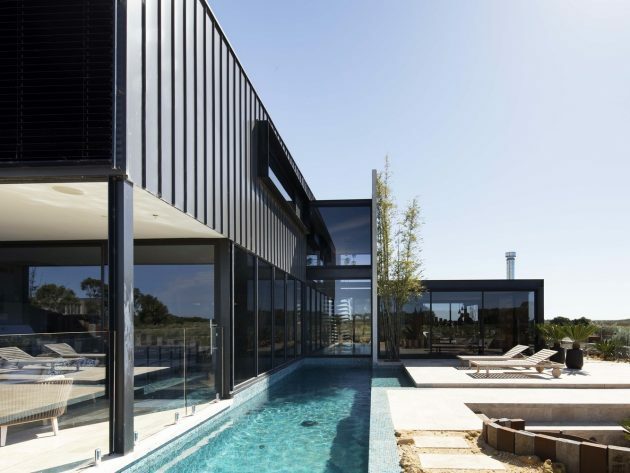 The planning responds to the site surrounds by turning its back on the one adjacent neighbour and opening up to the beautiful golf course views to the south and east. 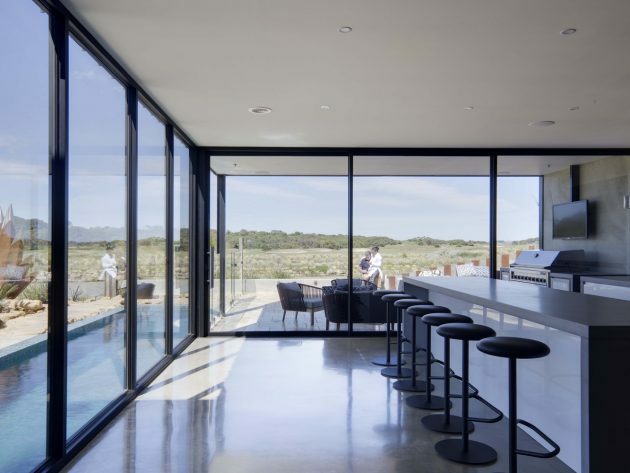 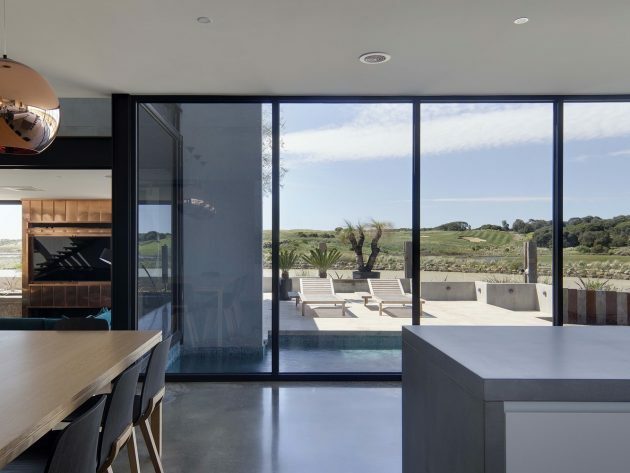 Large expanses of glazing work to draw the rolling golf greens and sand dunes beyond into the home, blurring the distinction between outside and inside. 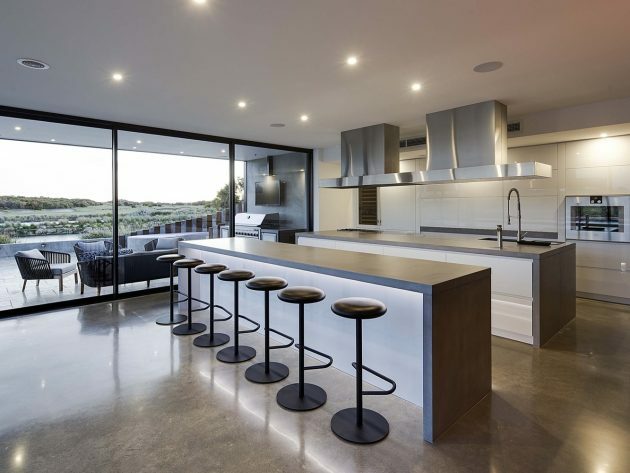 The main kitchen and living zones are also tied to an integrated plunge pool, which is heated year-round, providing a practical, usable pool and doubling as a water feature which is viewed from all living zones. 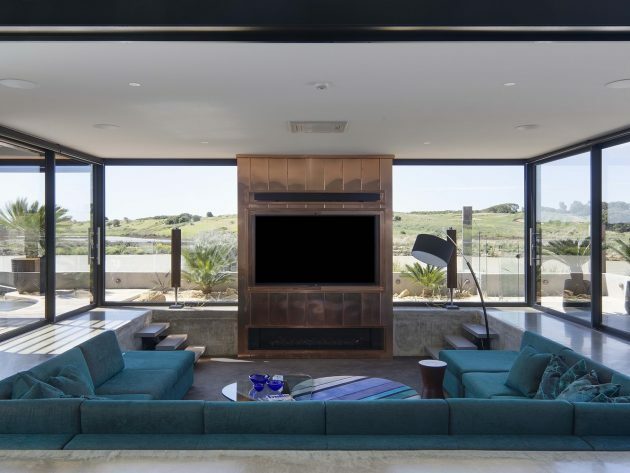 There are no walls diving the lounge, kitchen, dining, and sitting zones but they are separated visually and spatially by the sunken lounge area.